Our house to let in La Fresneda is about three hours South of Barcelona. It is inland and in the foothills of the Puertas de Beceite. 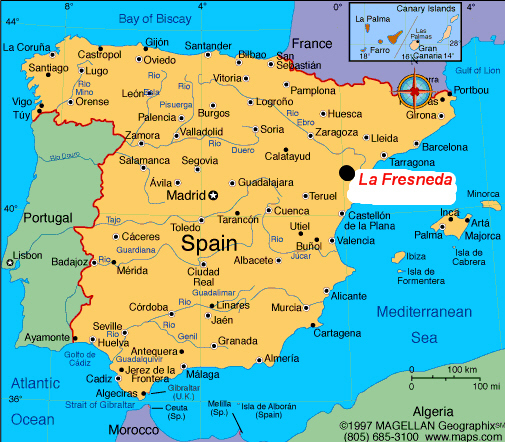 The nearest large town to La Fresneda is Alcañiz. The province is Aragon and the region Teruel. 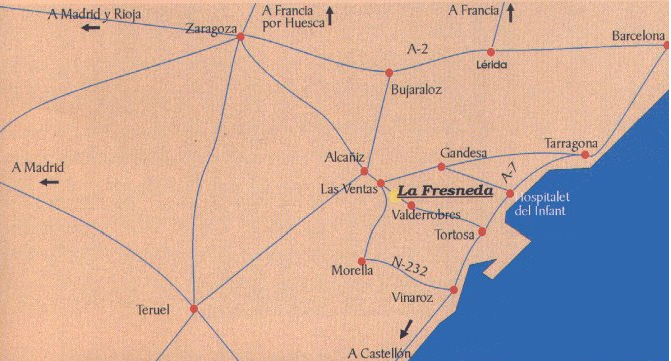 The map of Spain shows its approximate location and the local map shows where it is in relation to the surrounding towns and villages. Try this link for more info about the village.